The paper has been highlighted in Nature Photonics! Structured photons are nowadays an important resource in classical and quantum optics due to the richness of properties they show under propagation, focusing, and in their interaction with matter. Vectorial modes of light in particular, a class of modes where the polarization varies across the beam profile, have already been used in several areas ranging from microscopy to quantum information. One of the key ingredients needed to exploit the full potential of complex light in the quantum domain is the control of quantum interference, a crucial resource in fields like quantum communication, sensing, and metrology. Here we report a tunable Hong-Ou-Mandel interference between vectorial modes of light. 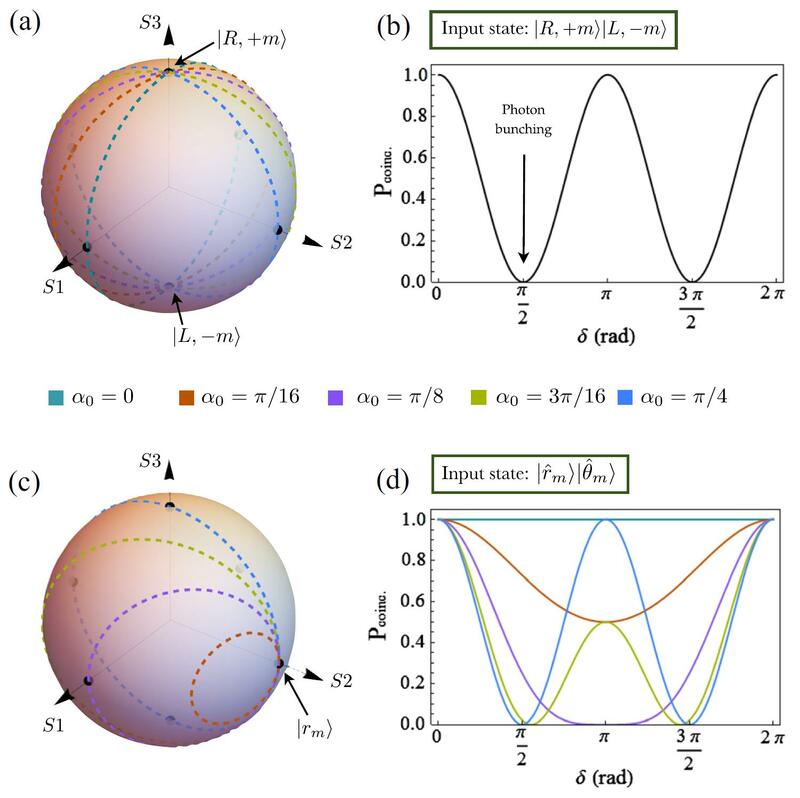 We demonstrate how a properly designed spin-orbit device can be used to control quantum interference between vectorial modes of light by simply adjusting the device parameters and no need of interferometric setups. We believe our result can find applications in fundamental research and quantum technologies based on structured light by providing a new tool to control quantum interference in a compact, efficient, and robust way.